We met up with Emmanuelle Raynauld, the founder of Espace Fabrique, to learn more about the nature of this place. Coming from the visual arts and robotics world, Emmanuelle is well placed to know how difficult it is to obtain access to industrial equipment, an essential need and important reality for Canada’s artistic and entrepreneurial communities. For recent visual arts or engineering graduates, diploma in hand, motivated and enthusiastic to enter the workforce, it is more difficult than ever to find the equipment they have become accustomed to using in school. They have time, drive and ample ideas, but the material and financial resources are lacking. 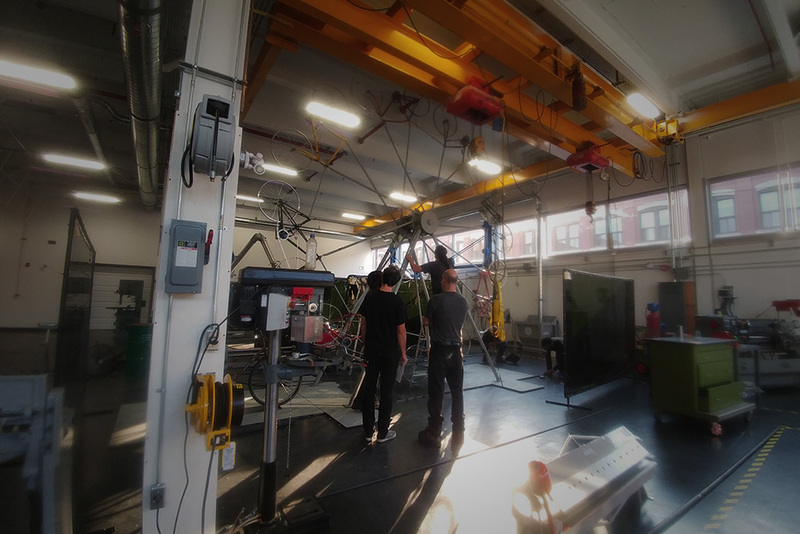 At Espace Fabrique, $500 000 in fit-up and $200 000 in equipment were invested to offer the workforce of the future what it needs to launch a career. 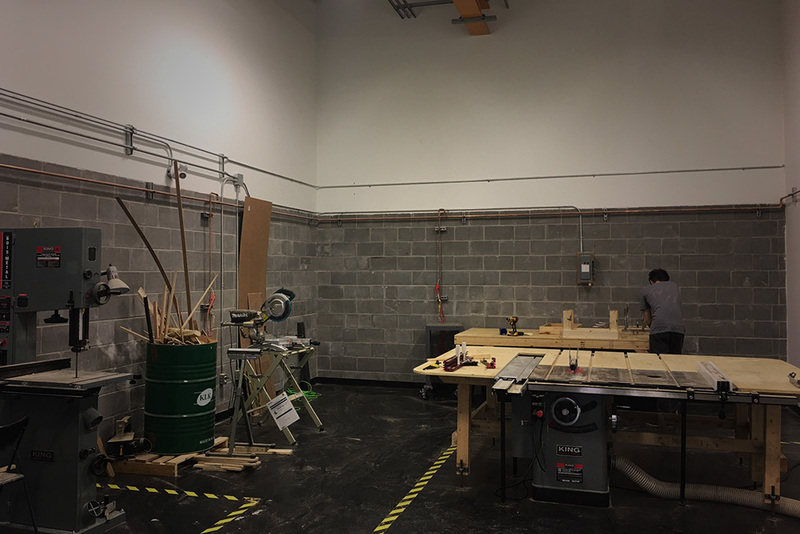 With professional training and consultant services, accessible manpower for subcontracting, 19 industrial machines to work with metal and wood, and 14 office spaces to rent, the goal is to lower productions costs per individual piece. Therefore, entrepreneurs and artisans who have the potential to launch innovative projects can build the necessary prototypes to obtain financing and set up their production line. “Depending on their technical skillset, a person can save up to 95% in production costs if they build their prototype here,” explains Emmanuelle. By providing access to this type of location, Emmanuelle hopes to revive the manufacturing sector, particularly among the youth. She maintains that most workers under the age of 35 are not interested in the manufacturing sector; it is somewhat frozen in time. Espace Fabrique is her attempt to modernize this sector, notably with an online management system. Emmanuelle’s goal seems to be within reach; as to date, her clientele is on the younger side. “All my members are less than 35 years old!” she says, smiling. Alternative workshop options pose many disadvantages: costs multiply quickly, places are not easily accessible by public transport and delays are never-ending. And, as many of these workshops are laid out for assembly-line production, it is not advantageous to use them to build a single piece such as a prototype or a work of art. On the contrary, Emmanuelle’s Espace Fabrique had exactly this type of clientele in mind. After three years of searching, Emmanuelle finally found the perfect location for her project. A commercial space for rent in what was once a vinyl factory, at present renovated. But, beyond the technical criteria, Emmanuelle was searching for an owner who would believe in her project. “We’re a new business. It’s a new project. It’s important that the owner buys into it.” In fact, Emmanuelle worked closely with the Mondev team before setting up in this location. She collaborated with the architects to ensure the divisions met her needs. 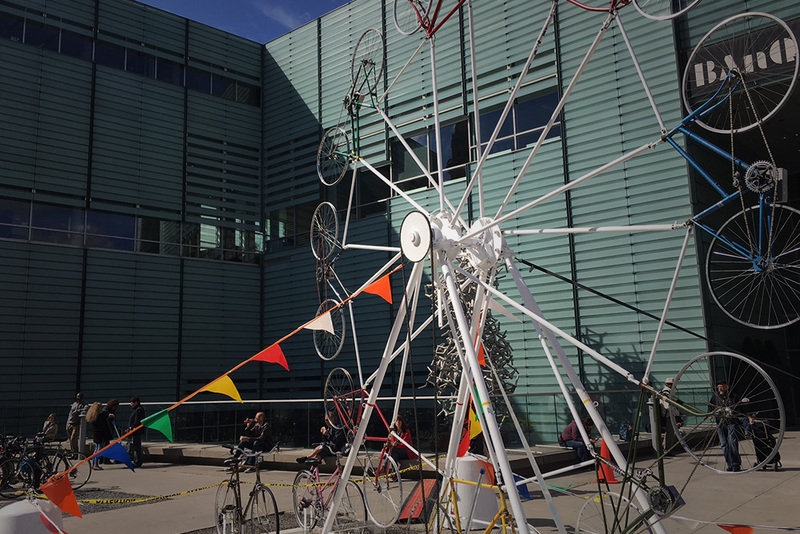 To help us picture what her workshop makes possible, Emmanuelle gave us the example of the KM3 project in the Quartier des Spectacles. 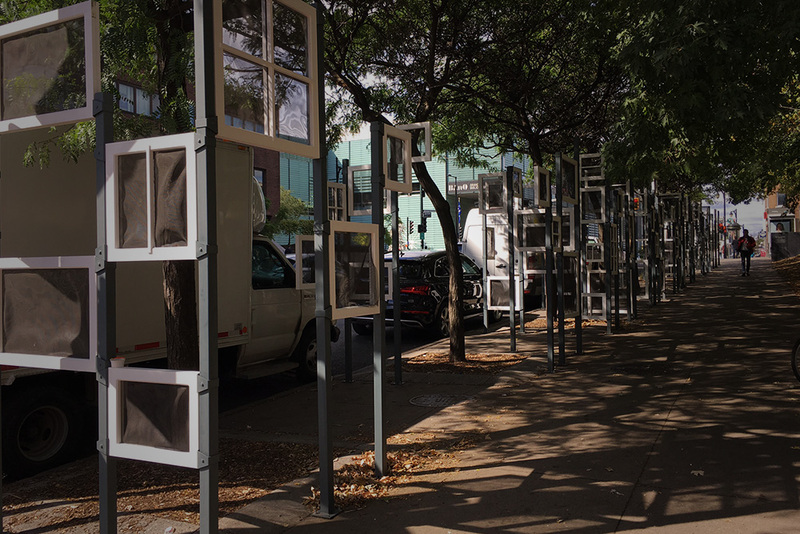 It is an outdoor public art exhibit in Montréal; two works being highlighted were built at Espace Fabrique. Interest is also building from the movie and theatre worlds, where the sets are characteristically impressive in size. 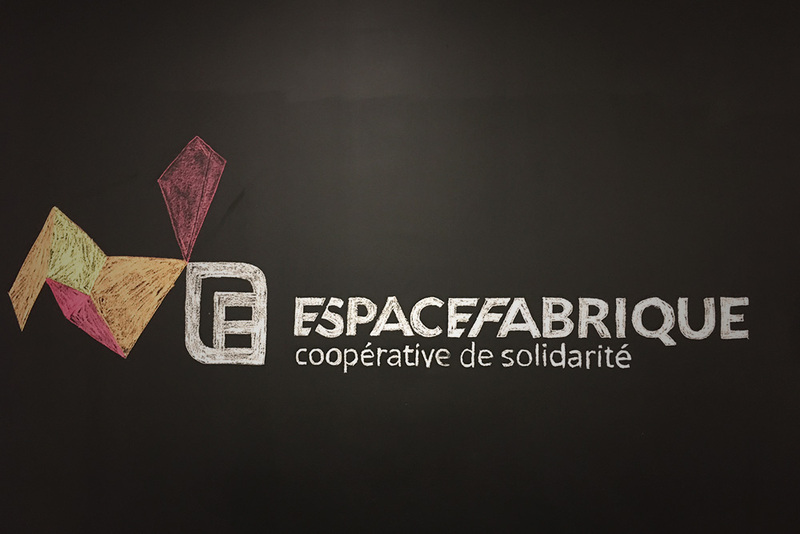 When asked to describe Espace Fabrique in 5 words, Emmanuelle answered: “Accessibility, partnership, community, industrial and fun (laughter). If I want to make the sector more inviting, it takes a positive atmosphere. Here, we can offer something that is professional, but also enjoyable.” We believe her. A visit to the workshop allowed us to witness the friendly mood and Emmanuelle’s devotion. The proof: She is on a first name basis with all her members! Her goal is to open more sites like Espace Fabrique across Quebec. Our neighbours to the south have proven that the business model works; seemingly, our province is a bit behind the times in this area. As Emmanuelle says: “It’s wonderful to want to make up for lost time in Quebec, but we need to start by motivating our youth to invest in the manufacturing sector and accompany them in their projects.” If you ask us, she is on the right track!